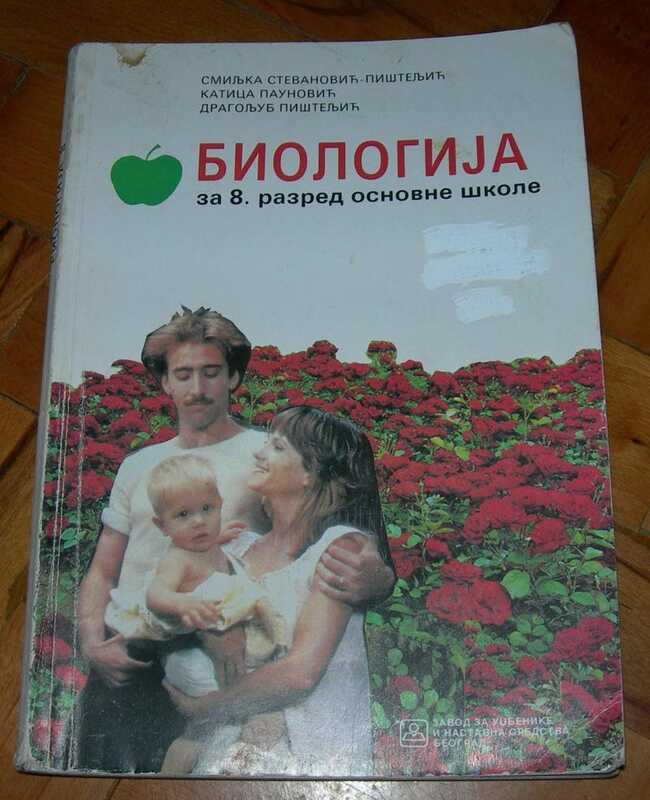 Does this 1998 Serbian biology textbook bear the best cover ever? "Welcome to eighth-grade biology, class! Anyway, as you can see from the textbooks on your desks, we will have an exciting semester of learning the apiary arts, arthropod handling, the habitats of lagomorphs, the psychoactive properties of tropical reptiles, and, ahem, human sexuality in the context of the automotive revolution. Also, it's the 1990s, and we're in Serbia. Did I mention that?"